Announcing DKP's partnership with Industry City Distillery! I am so honored to be working with this amazing business in their incredible space in Sunset Park (33 35th Street, top floor). We're talking 10K square feet, endless windows overlooking New York Harbor. SO many opportunities for inspired images and portraits, with the changing light and different backgrounds. The magic hour? We got it. We can also do conventional backgrounds, if you don't prefer the industrial look. Another bonus? These photo sessions are dog friendly! 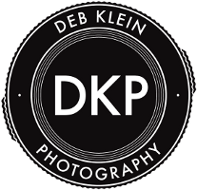 I will announce soon our DKP mini-sessions - once a month abbreviated portrait sessions at ICD. These are in addition to regular bookings. Stay tuned. You know, aside from the special light and opportunity this space affords, it especially makes me happy to help support a group of people who equally support my mission. And they make THE BEST vodka I've ever tasted. DKP is starting to shoot their products and tours and events, for their very active social media. For those of you who want to come check out the space and how their vodka is made, they give distillery tours from 3 - 4:30pm on Saturdays. The tasting room/bar is open on both Fridays and Saturdays from 4 - 10pm. Come try their products, sip on seasonal cocktails, always great music on, and look out over this space and all of Manhattan and New York Harbor. The best bar in South Brooklyn! There's a new brewery on-site as well (more on that soon! ), so there's revolving beer on tap. Something for everyone. Another thing they do is events. Holes in the Wall Collective throws a few parties a month, that you do not want to miss. You can also rent out the space for parties, film shoots, etc. Check out the events calendar on the site. Here are some ways you can read more about ICD, and follow them on their social channels. I'm not 'advertising' them. I am just sharing them with you, because when businesses support each other, great things happen! BOOK YOUR SESSION NOW! Article on the Distillery in Fast Company magazine.